NRG Services Qld is a Toowoomba based company that offers electrical, mechanical and communications solutions to the construction, civil, mining and energy industries. 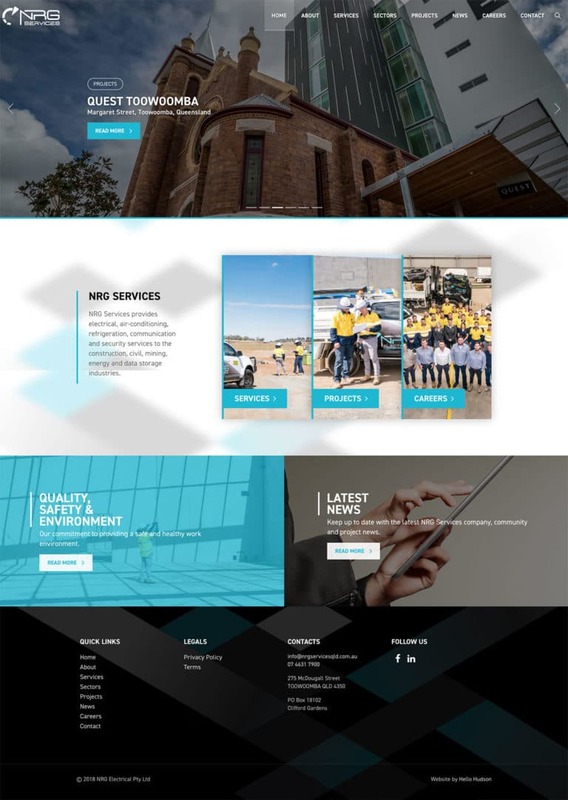 NRG Services Qld had a basic website for some time, however, it’s presence did not reflect the professionalism and innovation that sets this company apart. 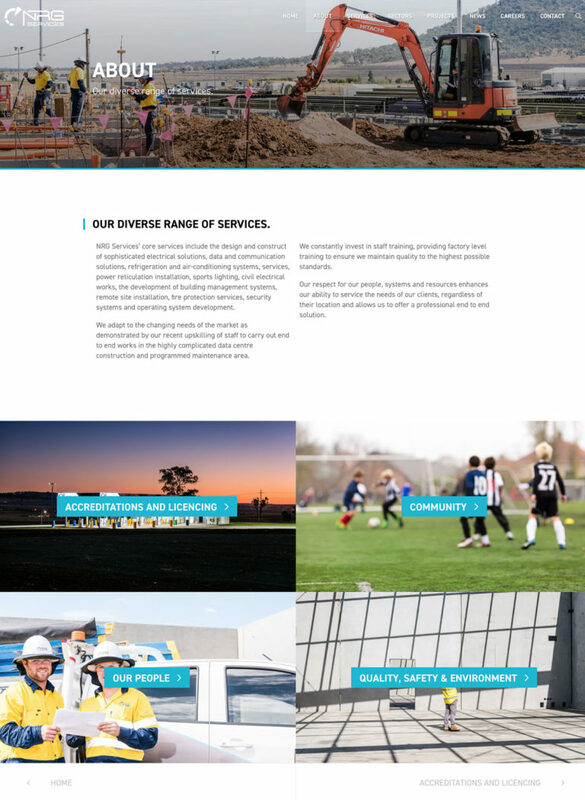 NRG Services Qld needed a website that functions as a powerful marketing and communications tool, showcasing services, experience, latest projects, and to position itself as a leader in the commercial industry. 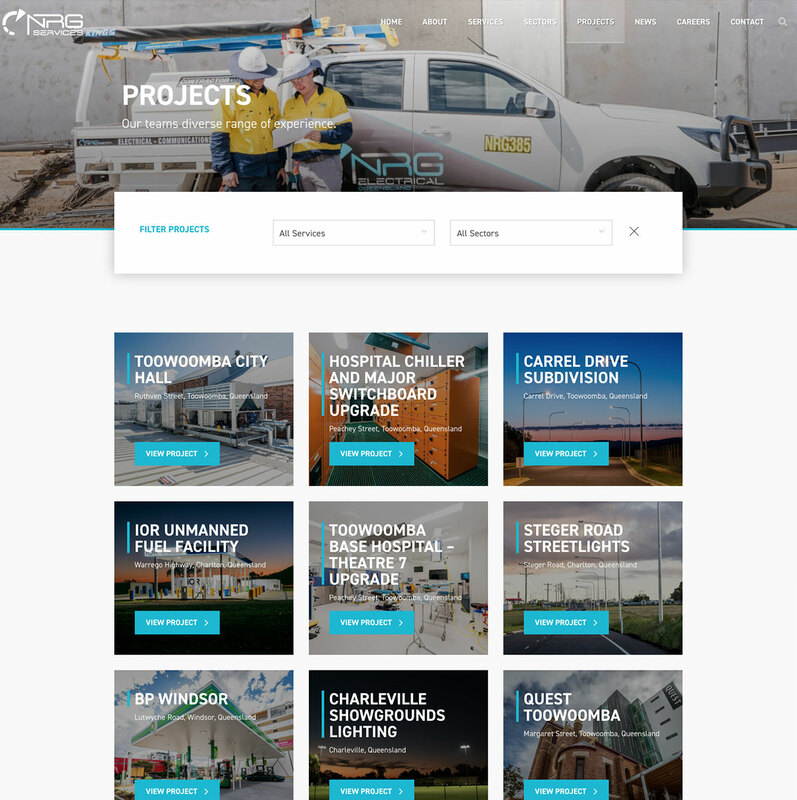 We recommended the development of a completely new website, built from the ground up, with a custom design to convey the professional brand and innovative thinking that NRG Services Qld offers to the industry. Provide up-to-date information and news about NRG’s services, projects and experience.